Thanks for letting me know about that one. Seems tough to get to, but I would love to see it up close. If I can get a photo of it, it'll be included in a Part 2 of this blog, whenever that is. Ex-Milwaukee Rd cab in East Dundee. Used as a restaurant near the replica depot. Cosley Zoo in Wheaton has a CBQ cab as well as a former CNW depot. Thanks for the comment. I'm hoping to check these out soon. Photographing these are on the to-do list. Thanks for making me aware of them! Thanks for the comment. Don't know when I'll be in Streator next, but I will try to locate this if I can! Thanks for the comment. 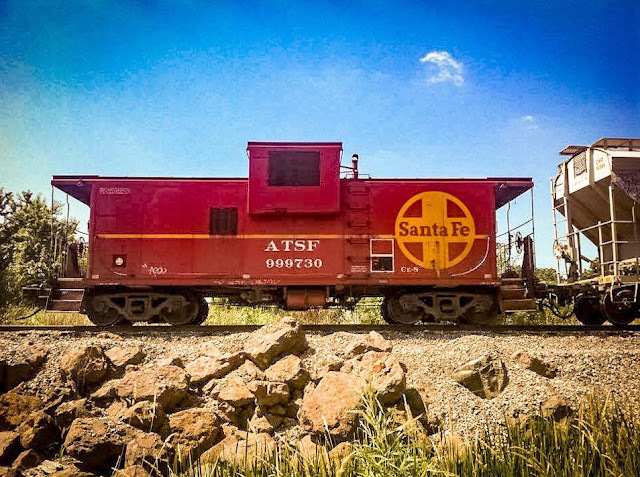 The existence of a second caboose in Lake Villa is news to me. Perhaps it was removed before I visited the park in 2016? Also, the blog was on static cabooses, which is why I didn't include stuff from the Illinois Railway Museum. That is going to be it's own blog someday. There's an old Milwaukee caboose in Woodstock at Dean St.& Rt 176. Years ago it was home to John's Ballast, but fell into disrepair after John passed. Today, it's in sad shape and looks lie all the paint has weathered poorly. It sits in rear of lot near a pond. 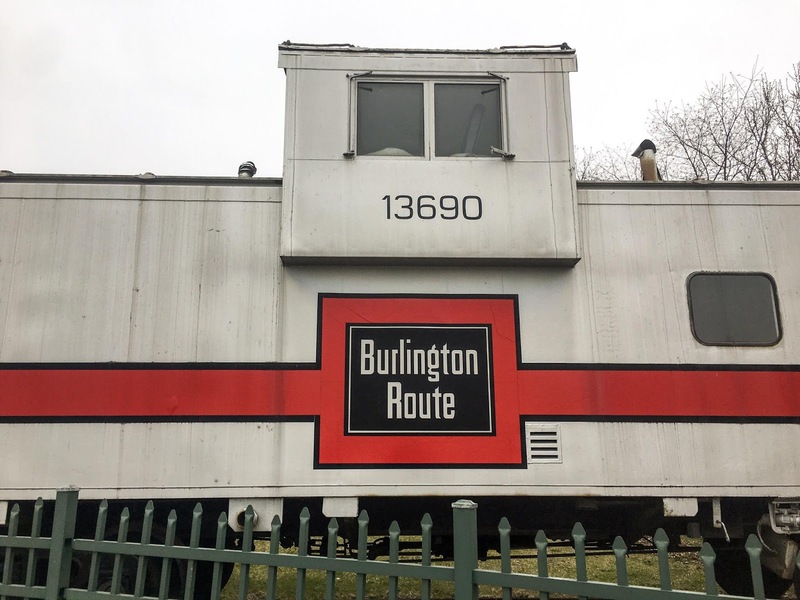 The other caboose in Lake Villa was a Milwaukee Road caboose. It used to be displayed behind the Fox Lake police department and was painted blue. It's still in the park in Lake Villa, but away from the SOO caboose. Also, the "Wabash" caboose in Orland Park is actually a former EJ&E caboose, possibly the 523. 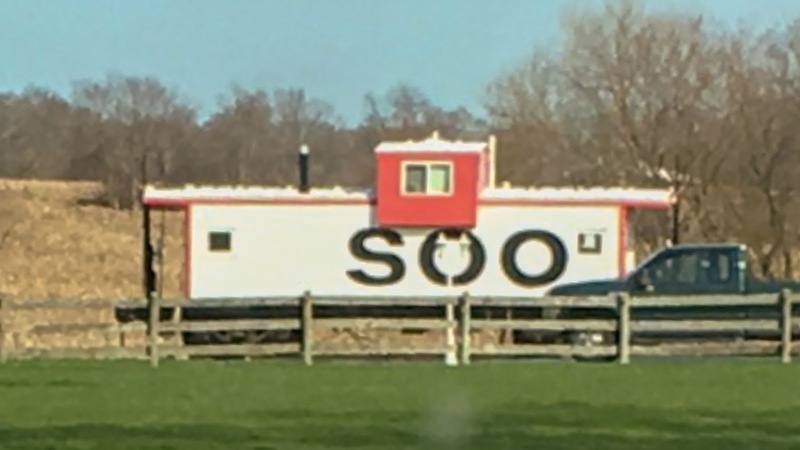 The SOO caboose listed in Fox Lake is actually in Spring Grove, first town west of Fox Lake. Fox River separates those two towns, so you won't come close to finding it in Fox Lake. There's also an ex-Chessie bay window slightly north of Janesville, Wisconsin, on the road that leads to Anderson. EJ&E caboose 548 is on the KB&S and is for sale. It's painted blue with yellow lettering, and last I checked, was next to the grain elevator in Iroquois, IL. It does not appear to have moved in a long time, and has become home to some kind of beasts that left large turds inside. Lots of EJ&E cabooses got saved, in part because they lasted on the J til 1986; plus the J kept everything in excellent shape! Andrew, that one in Hodgkins is actually easy to get to. It's in a park that's easier to get to from Willow Springs than from Hodgkins. Use the satellite maps, and you'll see it. Don't forget the one in Franklin Park, on display near the restored Tower B12. 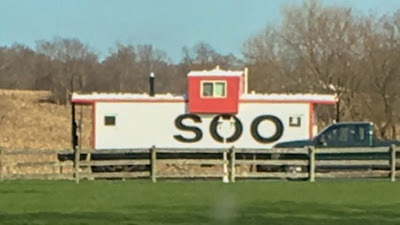 There is a wooden CB&Q caboose at the Lyon Farm on Route 71 in Yorkville, IL and a silver CB&Q caboose at the Sandwich, Illinois Fairgrounds.